Need to lease a minibus for your Academy? We supply from all the main manufacturers. Find out more about our services and minibus lease deals. It makes so much sense to have your own minibus constantly on hand. With so many societies within the student’s union, plus departmental trips away, minibus leasing with us is reliable, easier and cost-effective. And when you take it to the next level with personalised livery, it conveys a strong message: your college or university is highly active, impressing stakeholders and attracting new students. Sporting an advertising strapline makes this even more powerful. 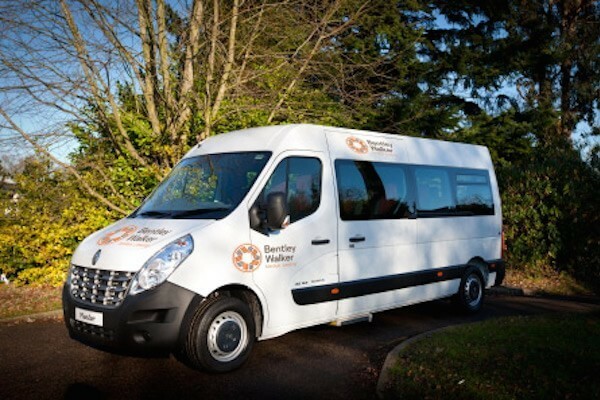 At Bentley Walker Minibus Leasing, we can sort it all out for you, included in your monthly cost. In fact, we do everything for you – apart from filling up with petrol and arranging insurance. After discussing your needs, we’ll propose the best minibus leasing solution for your college or university, at an affordable monthly lease price. There are no hidden extras. Guaranteed. We understand how important it is to provide value for fee-paying students and parents. We can organise professional driver training courses for your leased minibus. This ensures that the right staff have a D1 minibus licence, and help you through the examination and certification process. Remember, with our Minibus Lite, no D1 licence is required. Instead, the relevant staff can attend the thorough MiDAS training course to ensure they have the skills and confidence to drive Minibus Lite.